With its wide-span racks, META offers two solutions: the boltless META SPEED-RACK and the bolted META MINI-RACK. These provide an alternative to the pallet rack which finds versatile applications across many sectors. 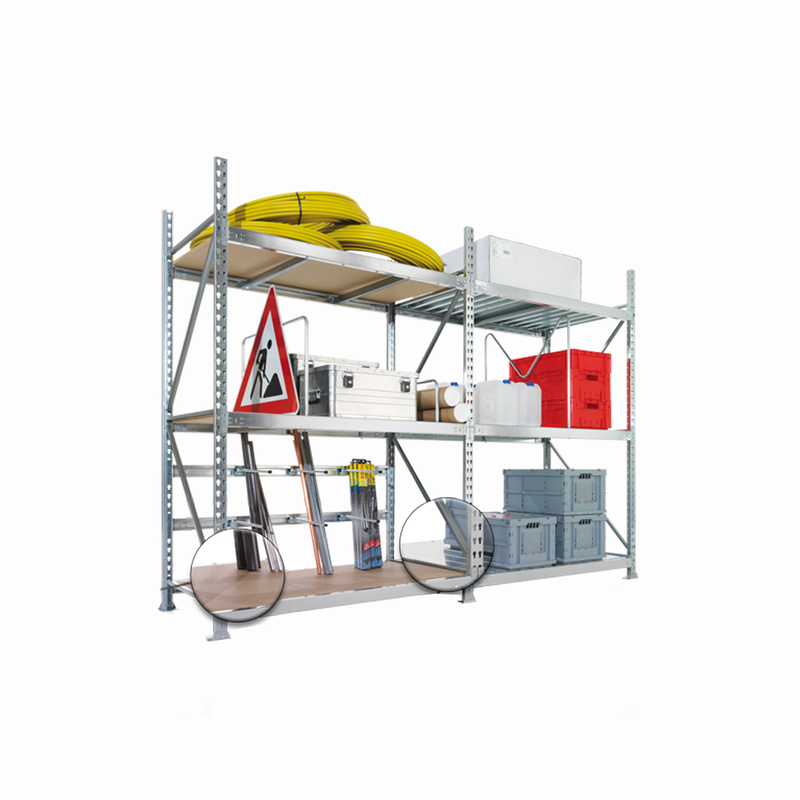 Wide-span racks provide generous storage space for bulky parts and particularly large and/or heavy items. META wide span racks – the boltless META SPEED-RACK or bolted META MINI-RACK – are ideal for storing light to medium-load bulky goods in business, trade, and industry. Multi-purpose racks with multiple applications across different sectors. 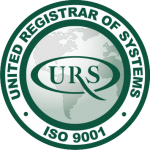 Both systems are available with chipboard or steel panel decks. With its simple and basic design, the boltless wide-span META SPEED-RACK provides highly varied storage possibilities and is very easy and user-friendly to plan and set up. Customers can choose from rack heights of 1970, 2470 and 2970 mm, depths of 400, 600 and 800 mm, and widths of 1700, 2000 and 2500 mm. The SPEED-RACK has galvanized sections and beams. The bolted wide-span META MINI-RACK provides an alternative to the pallet rack. This robust rack provides generous storage space for bulky parts and particularly large and/or heavy items. 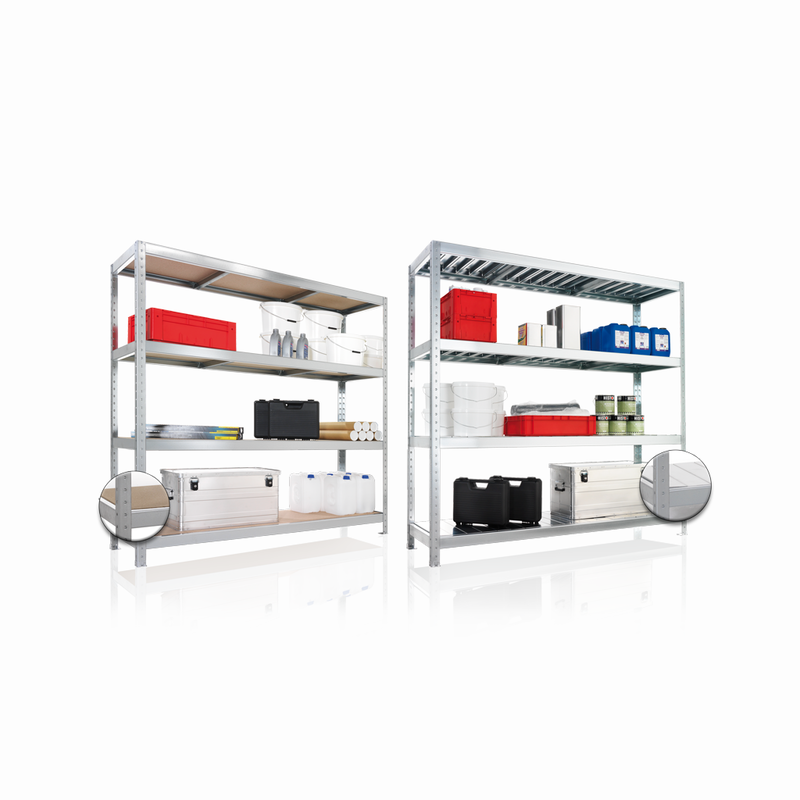 Goods can be stored horizontally or vertically. The META MINI-RACK is available with rack heights of 2200, 2500 and 3000 mm, depths of 650, 800 and 1050 mm, and widths of 1400, 1800, 2200 and 2600 mm. For the surfaces, customers can choose between galvanized or plastic-coated in RAL 7035 light grey.